Everyone could use a cheat sheet when visiting another country, there are different customs, and tipping amounts, there are things which would be considered rude, or would flag you as a tourist. Find out how to keep up in one of the most diverse countries in the world! 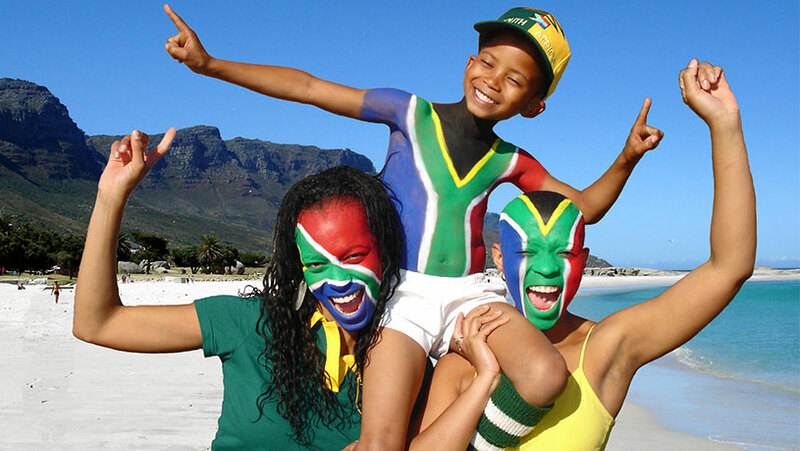 South Africa is home to 11 different official languages, and English only comes 4th most spoken on that list. Topping it are Zulu, Xhosa, and Afrikaans as the first three, but finding someone who speaks or understands English is pretty easy. Learning multiple language is something of a common thing here, so there is no reason to panic at not being able to be understood by the locals. If you find yourself wishing to converse with locals in their own language you’ll have to ask what they speak and find a translator dictionary, which some book stores carry here. There are a few other local-only terms that are handy to know like braaing, and yes that is spelled correctly. It is pronounced ‘bry-eeng’ and is definitely *not* a barbeque. A braai is a social event that features grilled meat of many varieties, but most often lamb chops, boerewors (a farmer’s sausage) or chicken. These social affairs can be for lunch or supper and last for many hours, where the counterpart – a barbeque is usually just a different way of cooking meat, devoid of much of the social gathering aspect. There are more things to know while you’re out and around, and while most of the customs and cultures are pretty mainstream there are a few differences. When you are in an open market or visiting street vendors, haggling is allowed and expected in order to get the best price. Don’t be afraid to turn around and walk away, telling the vendor you’ll try to find it somewhere else and you’ll quickly see them lowering the price to save the sale. Also – don’t take whatever is handed to you, refuse handouts as a general rule. Some very savvy salespeople feel that if they can get you to hold the thing they want you to buy, then you won’t feel right giving it back. That’s pretty basic human psychology, so just don’t put your hand out to take something, you’ll be offered a LOT – especially if your voice doesn’t sound like you’re from around here. First things first – parking. Parking will always cost you here, except perhaps where you’ll be staying. If you use a car hire service, expect to pay anywhere from R20 to R60 for parking, and there is usually a parking machine you must pay while inside the building, and then you leave by re-inserting the ticket into the exit machine and the bar will raise to let you out. If you’re carrying any plastic bags into a store, you will want to check with the people at the front door where you enter to be sure they’re okay with you bringing your bags in the store. Some shops will want to put a piece of tape across the opening of the bag as a safeguard against theft. This doesn’t mean they think YOU personally are a thief but that their store may have made it store policy to tape all bags as people enter to help loss prevention. WYSIWYG = “What you see is what you get” and this means that whatever you see in the store, is pretty much all they carry stock of. If they have it, it will be on the floor. The only thing you can do if they don’t have your size, is to ask them to call another store to see if it is in stock, but be sure you tell them how far you’re willing to travel to get the item. Tipping here is usually 10-15% for any waitstaff, 10% for a tour guide, 10-15% for a bartender, R10 per bag for porters, 10% for taxi drivers, 20% for hair salons or other professionals. Table manners are mandatory here, despite the laid back feeling people give off. Stay for coffee after a meal – it’s just what is done here. Coffee as you will find, is a mainstay of South Africa and people usually have one for breakfast, just before lunch around 10am, after lunch, one around 2 or 3pm, and one after supper. It is considered polite to stay with people to visit after having supper, but if they offer you a second cup of coffee, that’s the South African way of hinting you have stayed perhaps a bit overlong and may want to take your leave. You’ll probably notice there are bars on almost all windows and doors here, because in some areas theft can be pretty high, especially at night. While tourists have nothing to worry about generally, practice safety by locking up after yourself. Keep your windows of the car up or cracked so small that nothing can come through, because there will be people selling things and begging on some street corners, and it’s best to just have the windows up just in case. Be sure if you plan to go anywhere at night, that you go in a hired car, be it your own or a taxi – it’s not considered safe enough to walk around at night, not because there is a huge problem, but because it prevents there from becoming one. While South Africa has gone through rolling blackouts, where Eskom undergoes “load-shedding”, and the water is drying up – there are still things to know. Load shedding is usually done when electricity use is at its highest and hasn’t happened now for close to a year at the time of writing this article, but the power gets shut off for a full day at times in order not to overload the grids. Most places have opted to get a generator for these instances for that reason. Water is becoming scarce as we are smack in the middle of a drought right now, but rainy season is on its way and the water is still safe to drink even with lower dam levels. IF you are not comfortable drinking the water, which is totally safe and clean, there are places you can get bottled water either singly, or by the big jug with a spout. The water can be slightly drying, so be sure to use lotion after a shower. You may need a power converter also because the plugs here are 15 amp 3 prong plugs which are round. Sometimes you’ll find they have a two prong plug, both are supported here. Most supermarkets carry power converters, but a store called Game carries them for sure. It is safe to plug in your cell phone and your computer into the outlets directly, because those usually come with converters/step down boxes which ensure the power going to your appliance never exceeds its limit. Things like hair dryers or other smaller appliances may not be able to be used in the 220 outlets. Be sure to check any tags or tape on the appliance to find out if it can be used in both 110 and 220 outlets. There are some brilliant blog writers out there who travel around the world talking about the best places they’ve found and what there is to see. Be sure you check out their disclaimers at the bottom of their posts though, some are paid advertising by their sponsors, but it’s pretty easy to tell if they’re saying something they believe in or are just saying it because they’re being paid to. For the most part, these blog writers try to keep it real like one of my favorites – Adventurous Kate. She’s written a post about South Africa that you can read which gives a lot of great tips, and ideas for your own trip. It can be found here. It’s always a great idea to try and find articles, posts or other input that people have to offer about South Africa, since no two experiences are ever the same.